Filmmaking is a long and involved process that requires creativity and strong attention to detail. Due to the complex nature of film production, it is no surprise that insurance often gets pushed to the wayside. It is important for filmmakers to understand the different types of insurance policies available to them, as well as which are a necessity in their industry. 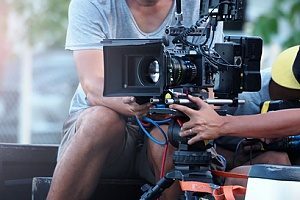 Learn more about production insurance, why production companies need insurance, and why you should consult with entertainment insurance brokers to determine which type of policy is best for your unique production project. Production insurance is a vital product for safeguarding your investment in a film. Even if you are not currently making a profit from your productions, having the right policies can help ensure that you do not go bankrupt if a liability issue should arise. Production insurance provides numerous benefits, including contractual, legal, and property protection. For legal reasons, most production companies carry some type of insurance to cover bodily injury to third parties and potential property damage. Production insurance can be used to cover everything from slip and fall injuries to broken equipment. However, some items like sets and props need to be covered separately. What are the Types of Production Insurance? Short-term: These are policies used for a single production, such as a brief commercial. Long-term: These are policies used for several projects completed over a longer period of time. Annual: These are policies reserved for ongoing projects, such as documentaries, industrial, commercials, and education (DICE). A DICE policy typically lasts one year. Why Do Filmmakers Need Production Insurance? Most filmmakers do not consider what could go wrong during a production shoot. In reality, there are many risks involved in filming that expose a company to serious financial disaster. 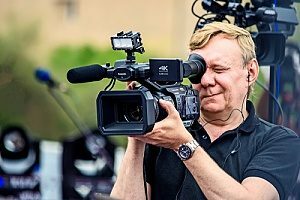 Before starting a shoot, be sure that your company is protected from these risks by acquiring insurance through the right entertainment insurance brokers. Here are just a few reasons why having the right type of production insurance is crucial for both new and established filmmakers. The potential for calamity is great among production companies. If a leading actor or actress in your film becomes injured or seriously ill, your video could face sudden setbacks which put your entire project in jeopardy. You must also consider the safety of your production crew. Moving heavy equipment, traveling in busy cities, and working long hours can directly impact the health of your crew members. No film location locations are immune to damages. Even with careful preparation and strict safety policies, there is still a chance that damage could occur to property at any location you choose to film at. If the damage is found to be serious, you could find that you owe the venue or property owner a significant amount of money to make any necessary repairs. Production insurance can help cover the costs of these damages. It takes just one small error or lapse in judgment and a piece of expensive video equipment is damaged. Whether the equipment was owned by your production company or rented from a third party, you will likely find the cost to repair or replace the damaged equipment to be astronomical. While production insurance cannot prevent damage to equipment, it can be used to fund the repairs or replacement. Without your cast and crew, you would not be able to make a film. It is important that your production crew know that you are doing your best to protect them against certain risks. Production insurance provides assurance that your production crew is protected against injury, lawsuits, and similar risks. Video gear is not the only costly equipment you have to worry about. Professional lighting, audio systems, camera equipment, and similar must-haves can cost tens of thousands of dollars to replace. To ensure that these expenses are not coming out of your own pocket, maintain a production insurance policy. While acquiring production insurance now may seem like just another expense, it is important to consider your future risks. Most filmmakers and production companies will agree that the right insurance policy can make the production process go much smoother by reducing certain risks and providing peace of mind to everyone involved in the project. For more information about production insurance or to apply for a policy, contact the entertainment insurance brokers at MFE Insurance.